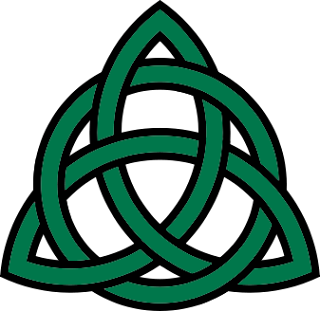 The Holy Cross Sermons: TRINITY C - Can We Make Sense of the Trinity? 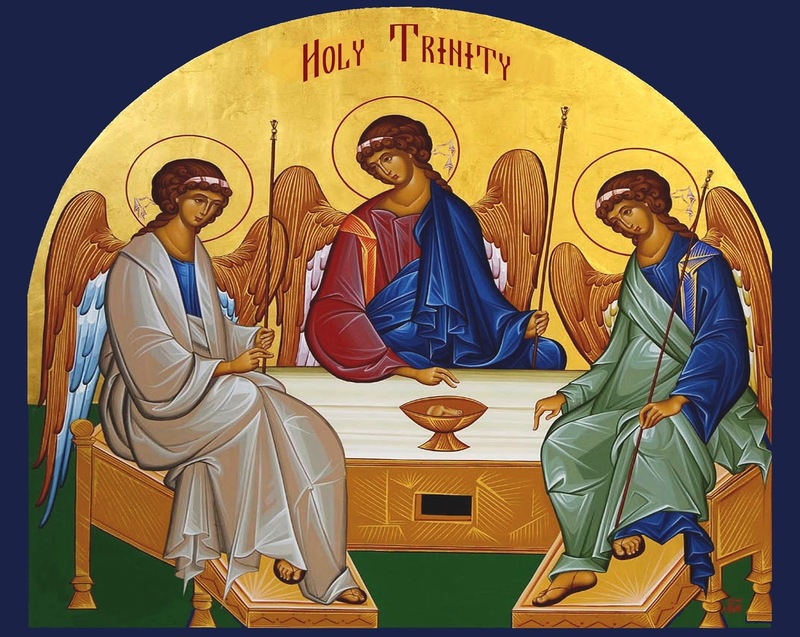 There is a standing joke around among ministers that if they ever had theological students working with them when Trinity Sunday came around they would get the student to preach the sermon. I obviously have not lived by that rule, and I think our student might be rather glad about that. We all know that the Trinity is the one central doctrine by which we judge the orthodoxy of other churches by. Yet it is still a doctrine that most preachers find difficult to tackle. It seems to me that the idea of the unity of Father Son and Holy Spirit as One God is something that we know to be profoundly true and yet we find it almost impossible to explain its meaning in language that is governed by sense and logic. Last year I used a metaphor of the ancient theatre world to try and express it, but that didn’t work for some of you – and you told me so. I had a thought recently that was affirmed in our Thursday Prayer group last week. It involved the simplest and most accessible image for us. We westerners use a particular idea when we speak of our human being. We speak of having a body, soul and spirit. We have a sense of these three as separate aspects of our selves, yet we know that each is indivisible from the others. On Sunday last my wife and I attended the service at St John’s Anglican Church in Albany, and what a wonderful surprise the Holy Spirit had for us on that Day of Pentecost. After some time without a minister there are now two women priests serving the congregation and the whole place felt alive in new ways. In her sermon for Pentecost, the minister made a comment about the function of the Holy Spirit and I think this is at the heart of understanding the significance of the Trinity. She said that the work of the Spirit was to bind the Father and the Son together in love, and that bound in this way they formed a community. Now this is as far as I need to go in comprehending the idea of the Trinity. It is enough for me. I don’t think we can ever find a satisfactory logical and reasonable explanation of it. Every attempt will have flaws in the argument or gaps in the logic and through these our arguments could be destroyed. But we all affirm the truth behind the idea of Trinity. As I said in the Newsletter it is easy for us to get the one-ness of the Father and the Son, and the place of the Holy Spirit can be understood in its relationship to the Father and the Son. Paul speaks interchangeably about the Spirit of God and the Spirit of Christ. We get that, and I think that is really what the creed is trying to say when it says the Spirit proceeds from the Father and the Son. This question is not about making sure you believe the right doctrine. It’s more of a “So what?” question, and maybe there will be a different answer from each of you or for each of you. Something I want to pick up and link to some of the other readings we have had from John in this Easter Season is this idea of Community. Last week Jesus spoke in the John reading about his being in the Father and the Father being in him. A couple of weeks before that Jesus is reported saying that those who love Jesus will do as he says and that the Father will love such a person and that Jesus and the Father would come and live with them. And the week before that Jesus spoke of a new commandment that would make it so clear to the world that we belong together as Gods children. So we are called to live in close intimacy with Jesus and the Father. And we are called to live as close companions with each other on the Way in the Community of faith. It is in this Community that we should be abiding in the Father and the Son. This is why an important part of our life in God is that we are growing in our life of prayer and contemplation. This feeds our relationship with the Father – our part of the abiding commandments – and empowers us as we then work out of our life in God to serve one another and those in need. If we do these things we will truly abide in Him and he in us.